What is The Gaia Goodness Company? How do you cook quince? It’s Autumn and quinces are in season. As you all might have guessed by now, Autumn is my favorite season. The air turns clean and crisp but not too cold. The leaves turn beautiful colors and cover the ground. All the best holidays are just a moment away, and some of the best fruits and vegetables are in season. Everything from persimmons, baby pineapples, and pomegranates, to pumpkins, squash, and parsnips. Quince falls in this category as well and last week I purchased one at the grocery store. I had never seen a quince in real life, let alone prepared one. I have had quince paste at high tea on sandwiches and scones, but beyond that quince was a total mystery to me. So what exactly is a quince you ask? Quince is a native of the Middle East. It grows on a bush and is similar in appearance to a pear, but has the texture of a hard, unripened apple. During a recent tour of the gardens at the Getty Villa with my Mom, I learned that quince was thought to be the proverbial “apple” in the Garden of Eden. According to WiseGeek.org, the fruit was used thousands of years ago in Middle Eastern cooking to stew with lamb, pork and goat meat. Sounds yummy to me. Eventually quince made its way into Western cultures and the people of England and France turned quince into preserves, pastes, and jams which is how it is used mostly today. 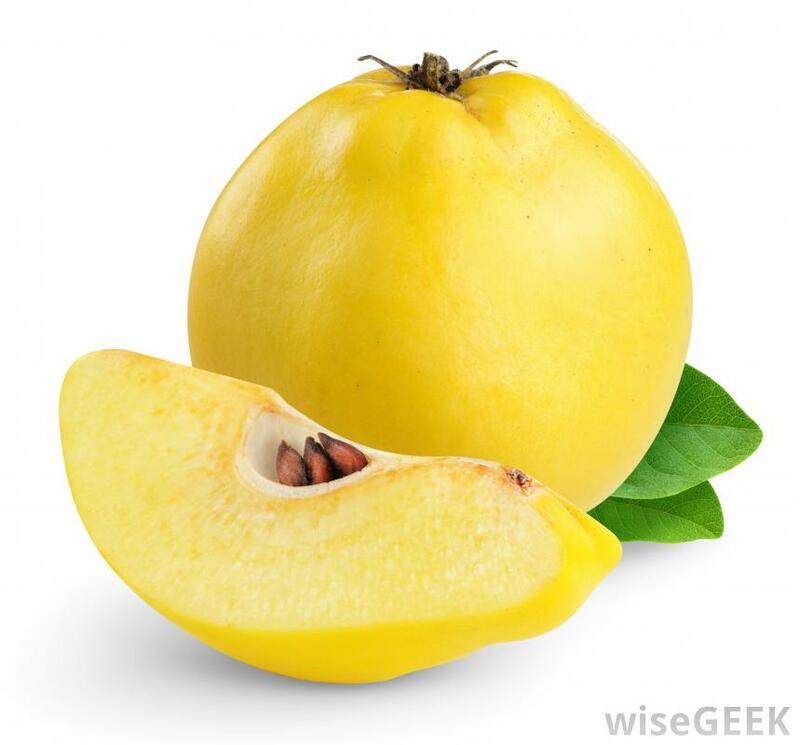 Quince is also used to make fruit juice in Germany. I think I’ll have to give quince juice a try one of these days, sounds delish! One of the first things I noticed about quince is the smell. Quince is very fragrant and smells of candy or a sweet vintage perfume. I even tried rubbing the fruit on my wrists, no joke. I will definitely be figuring out a way to make some sort of body butter or oil using quince so stay tuned for that. Now that you know a little bit about quince, let’s get into how I prepared mine. 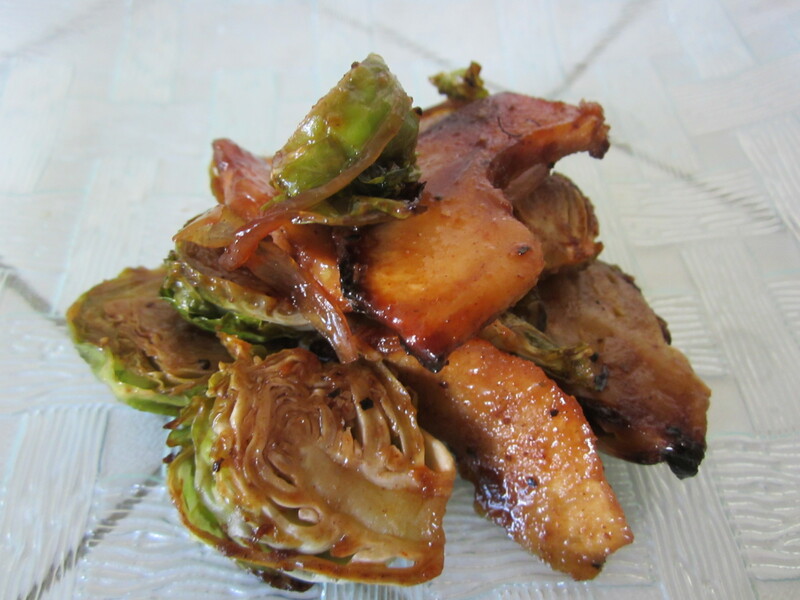 Before I came up with the idea to roast it with Brussels sprouts, I took a bite out of it. I couldn’t help it it smelled soooo good. I soon regretted doing that. Quince is not a fruit you can just pluck from the bush or grocery store bin and eat. You do have to stew it, fry it, bake it, juice it, or roast it. It is sweet but it’s firm, a little hard to chew because of the tough skin, and it leaves a weird grainy texture behind on your tongue and teeth. Not a good feeling, trust me. I also hit up my social media friends and asked if anyone had suggestions on how to prepare/eat quince. Someone told me to look up recipes online which I did, but didn’t really find anything that sparked. I thought about cutting up the quince and boiling it down with some sugar and red wine to make a quick chutney, but that didn’t really hit the creativity spot for me either. Then I remembered the Brussels sprouts sitting in my crisper and it hit me. 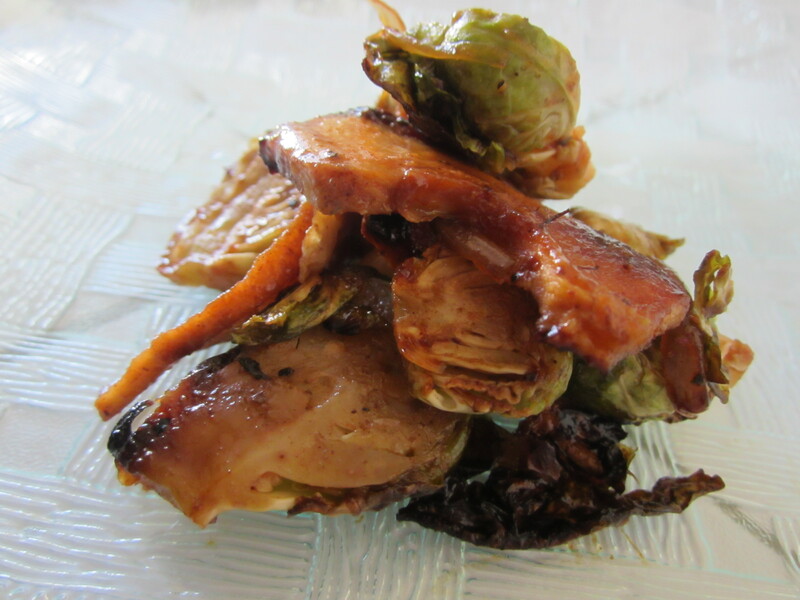 Roast Brussels sprouts and quince together! I did just that and it was amazing and super easy. 1. First cut your Brussels sprouts in half. I cheated and bought the pre-cut ones in the produce section. 2. Next peel, slice, and core one quince. I use a melon baller to core my fruits, fyi. 3. Remove the paper and slice up one shallot. 6. Then place on a foil lined cookie sheet and roast for 25-30 minutes at 375 degrees. I am a gourmet food specialist, food entrepreneur and creator of The Gaia Goodness Company. I make gourmet sauces, salad dressings and marinades. Please be sure to check out my Banana Mango Ketchup soon to be available for online purchase. ← The Best Deviled Potato Skins Ever! !